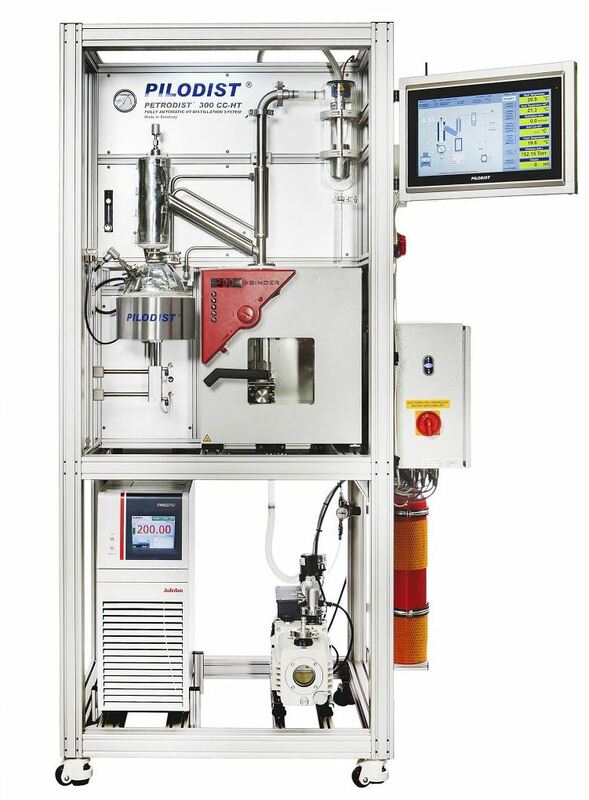 Fully-automatic distillation system with a process similar to ASTM D1160 with an extended temperature range for the determination of boiling ranges of crude oils and other hydrocarbons under atmospheric or vacuum conditions. The system is equipped with a completely heated distillation line, to be tempered up to 250°C. It includes also a processor controlled high temperature heating chamber with an automatic optical fiber volume follower system to ensure that products with melting points of up to 250°C can be collected into the final receiver without any cristallization. As a result complete boiling curves from initial boiling point (IBP) up to the end boiling point (EBP) can be produced. The process can be realized in different pressure steps for the analysis of products with a wide boiling range. The high temperature resistant stainless steel column (AISI 316Ti) enables head temperatures of up to 400°C under atmospheric conditions (depending on product). 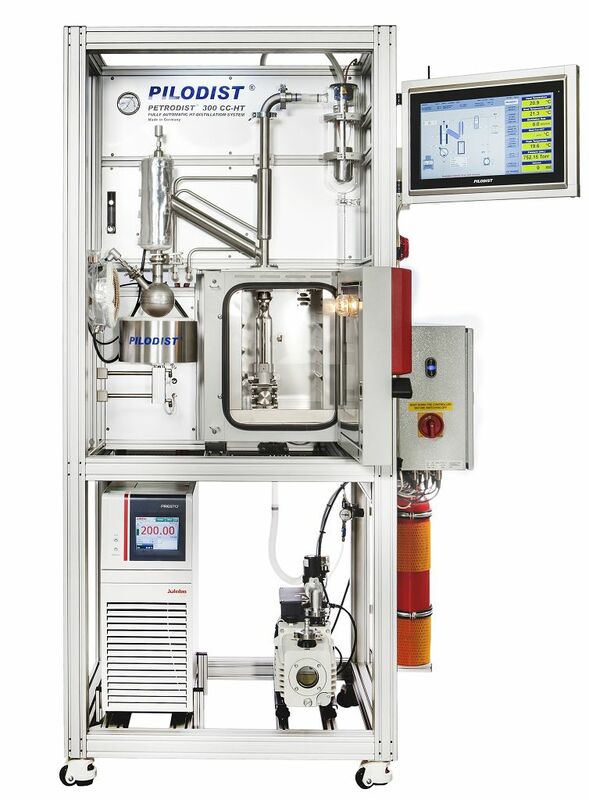 Temperatures of up to 650°C AET can be achieved under vacuum operation. The heating is performed by an electrical high-temperature heating bath with quartz-glass isolation and a 500 ml stainless steel flask. By using a highly dynamic tempering system for the condenser circulation very fast cooling or heating rates can be achieved so that distillation and cleaning runs can follow in short sequences.